Gorgeous custom home, set back off the road on a paved driveway, on over 2.5 acres. Back yard has amazing views of Black Butte, extra large patio, 5 foot rod iron fence with lovely landscapes, lush lawn & native flowers. Huge 3 car garage w/ 14&apos; ceilings and 10&apos; doors. Home thoughtfully built with handicap access. Grand entranceway invite you into an entertainers dream. Vaulted ceilings, open concept, porcelain tile throughout, custom lighting, large windows and fans in each room. Kitchen is loaded with every chefs wish, granite, double ovens, plenty of custom cabinets & pantry. The master bedroom is separated from other bedrooms for more privacy and has an oversized shower and Jacuzzi tub. Home has a hydronic Boch heating system and fireplace in living room to keep the entire family warm and cozy on those chilly nights. 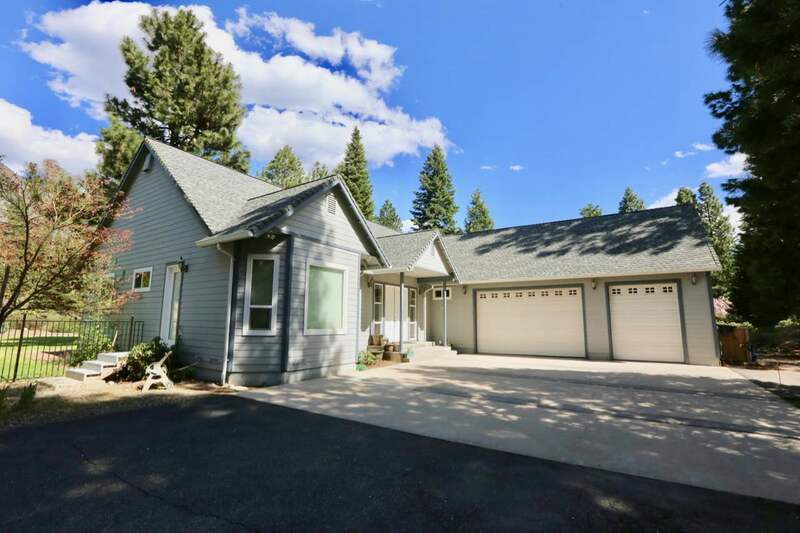 Located just a short drive to town, or bike to Lake Siskiyou! The mountains are calling you. Come see what Siskiyou County has to offer!